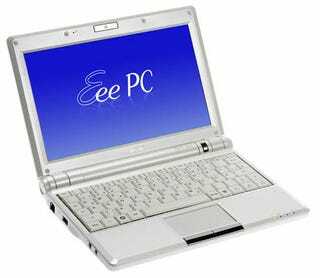 According to DigiTimes, recent Hong Kong purchasers of the new Asus Eee PC 900 (it's that Eee with the bigger screen) found that their batteries weren't as nice as those given to reviewers. Speaking from experience, that sort of thing happens all the time. Real world testing is always more rigorous than reviewer testing. But in this case, consumers were not talking about battery life itself, but a straight-up battery capacity rating. Then, in a turn for the even loopier, Asus actually admitted to giving different batteries to reviewers and consumers. What??? Yeah. Reviewers were given a 4-cell, 5800mAh battery. Consumers, on the other hand, were given a 4-cell, 4400mAh battery. Big difference. Asus claimed that the batteries given to testers were a mistake and that they'd planned to roll out the larger batteries to the public shortly. And at the moment, Asus is considering a replacement program.